I found this fabric in Tokyo back in July. 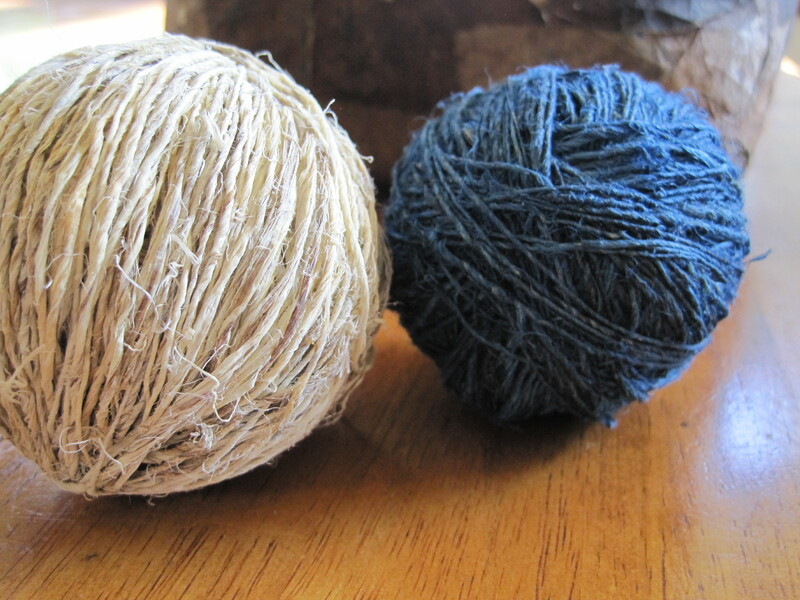 at first I thought it was just a piece of indigo dyed cotton, but after picking it up and noticing the texture and light weight I inspected it closer and found that it has a cotton warp and a paper weft. The fabric must date to around the early 20th century. Above you can clearly see the paper weft threads in one of the ragged ends of the fabric. Below I placed a skein of my handmade paper thread next to the fabric. 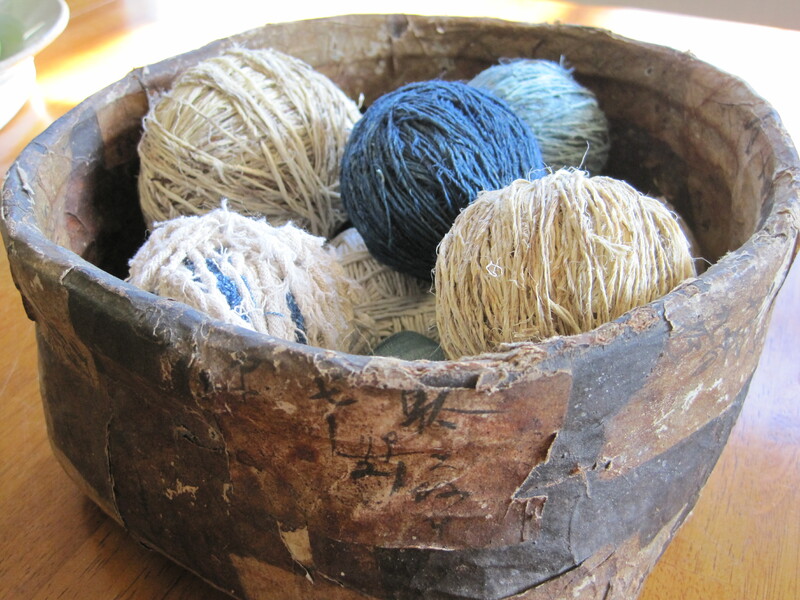 This antique paper covered basket holds some of the yarns I have been making over the past few months. The basket itself is really special. It has been covered with a layer of hand spun cloth and then encased in multiple layers of paper taken from daifukucho or shopkeepers ledgers. some of this paper has been treated with persimmon tannin which turned the paper dark red/brown and made the basket waterproof. I think the basket is probably from the early Meiji period. Here are some wisteria or fuji yarns. The blue has been dyed with indigo. 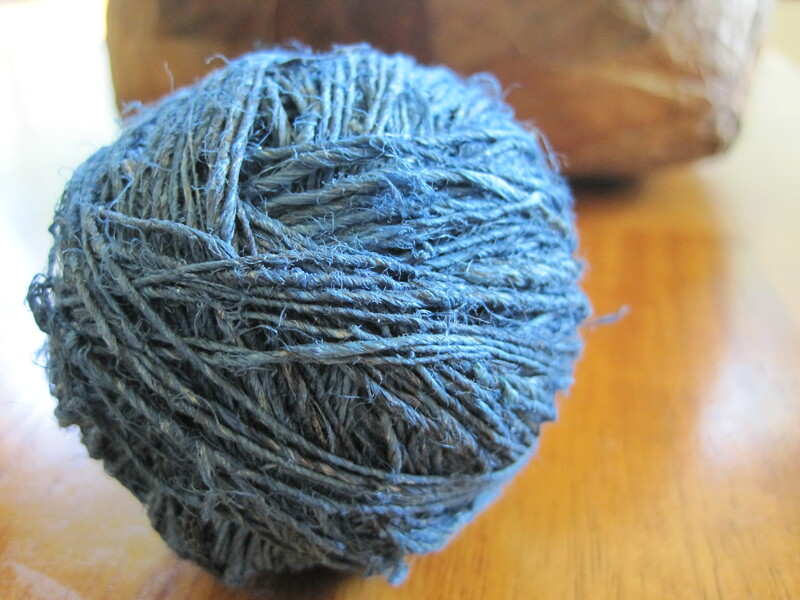 I dyed this fuji yarn with indigo that was past its prime. It has a gray quality I really like. This paper yarn or shifu I made from part of a roll of washi paper I found. I cut the paper into a long narrow strip and then spun it using an Ashford spinning wheel. 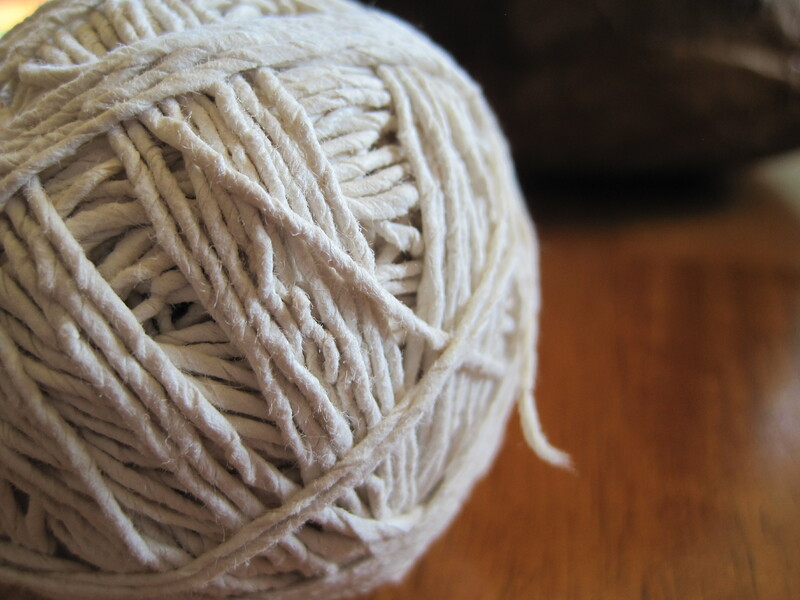 the thread is really strong and has a lot of elasticity. I would like to try dying shifu in the future but it seems like the nature of paper and water might cause problems. This is yarn I made from scrap cloth cut into strips and spun. 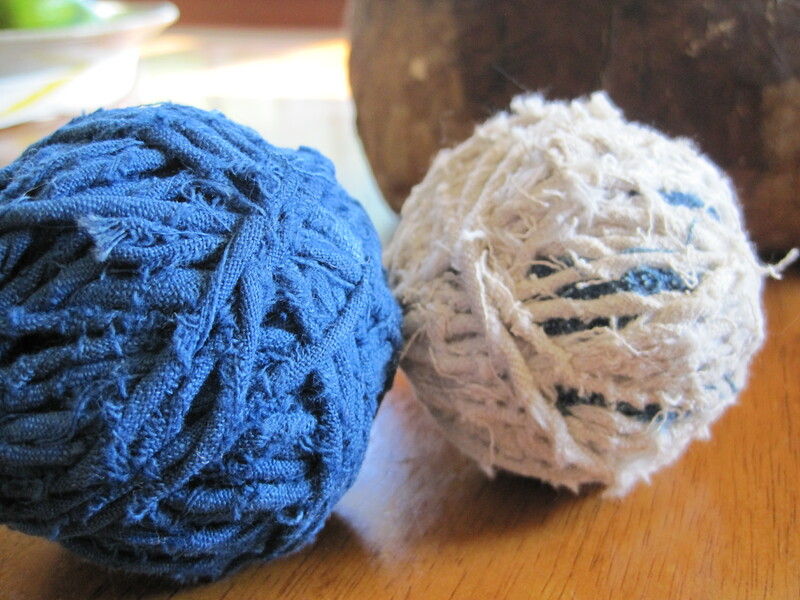 some of the cloth has been dyed with indigo.